Rev. Andrew recently returned from a 2 week walking pilgrimage through Transylvania, the heartland of our free faith. Let us remind ourselves of those who came before us to ensure our right to worship and believe as we determine true. And let us be in solidarity with those who continue to labor for their right to openly and safely practice their faith as they choose. Rev. 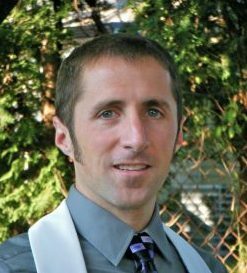 Andrew Weber is a proud, life-long Unitarian Universalist raised in the suburbs of Philadelphia. He lives in Newark, Delaware with his wife and two children. Rev. Andrew’s calling is to empower others to reach their full potential and create space for transformation, self-discovery and new energy! He currently coaches at a CrossFit gym and leads a gathering on the intersection of faith and fitness.